Mooove over! 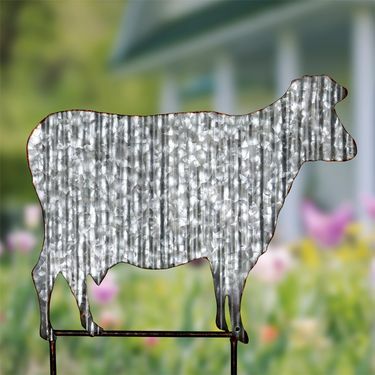 This farmhouse chic corrugated metal cow garden stake is elegant and stylish. Cows also symbolizes abundance and potential, a welcome gift for any home! Made of durable metal, UV treated to resist fading. Size: 18.75" x 0.3" x 18.75"H., approx. 1.25 lbs.